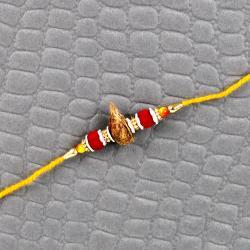 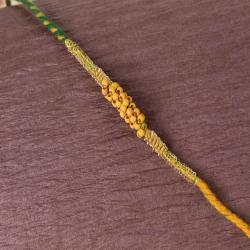 Mauli Rakhi is a sacred thread of yellow and red colours that has been widely used for religious purposes. 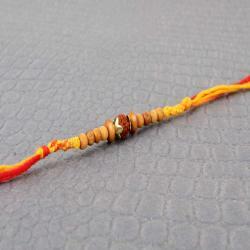 Mauli Rakhi is also called a traditional Rakhi thread that goes very well with the core essence lies in Rakhi traditions. 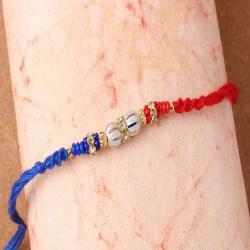 You can buy online any of the Mauli Rakhis from Giftacrossindia.com that you find best for your dearest brothers. 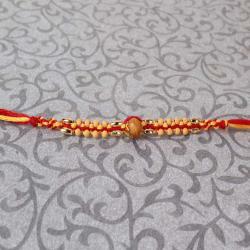 Rakhi is the day to honor the brother and sister. 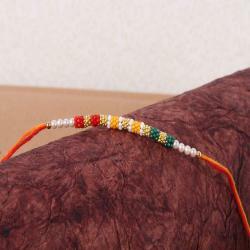 Buy all new collection of Zardosi Rakhi, Mauli Rakhi online on Giftacrossindia.com. 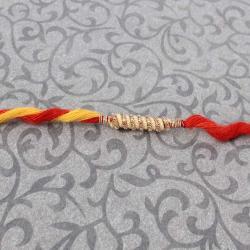 Mauli Rakhi is one of the type of rakhis made with red and yellow color threads for the auspicious occasion of Raksha Bandhan that you will find at Giftacrossindia.com . 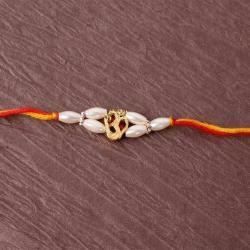 It goes very well with the festive mood of Rakhi. 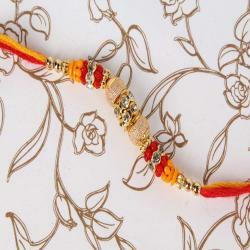 Our online gift stores give you a wide range of Mauli Rakhi collections on this Raksha Bandhan with reasonable prices. 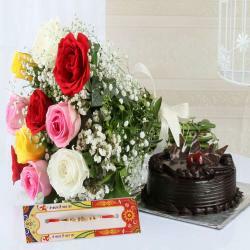 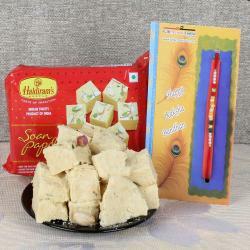 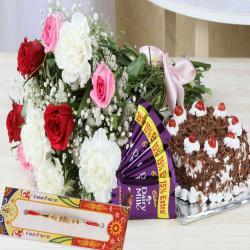 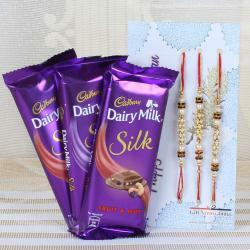 You can also find exciting gift combos and hampers with Mauli Rakhi which makes your beloved brother more appealing. 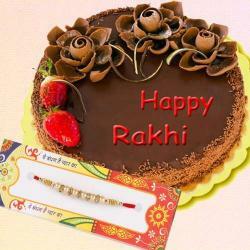 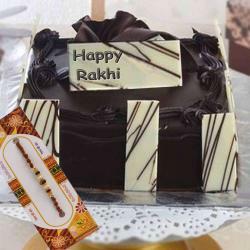 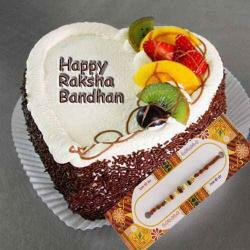 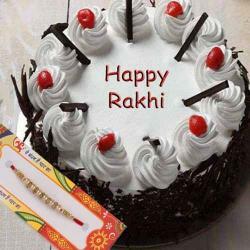 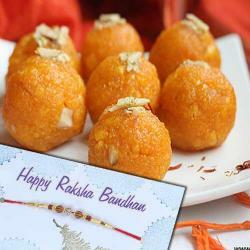 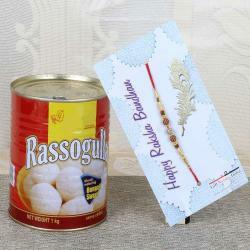 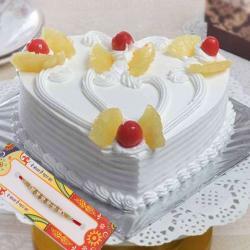 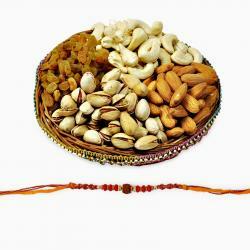 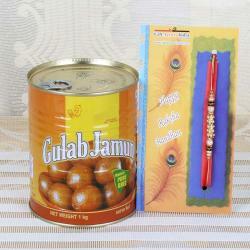 Auspicious mauli rakhi with kaju katli are the best gift for rakhshabandhan. 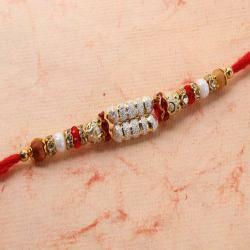 Send Mauli Rakhi for your brother residing anywhere across the country without any hassles. 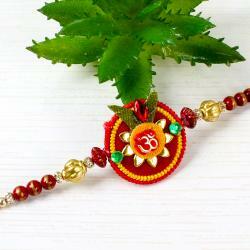 Generally Mauli Rakhis are traditional kind of Rakhi but looks very elegant and beautiful. 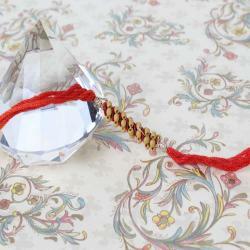 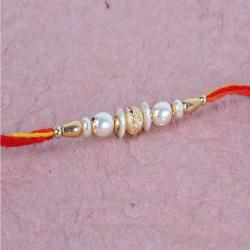 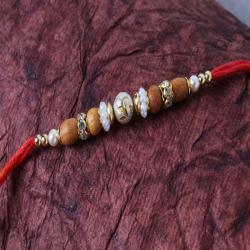 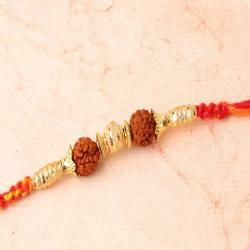 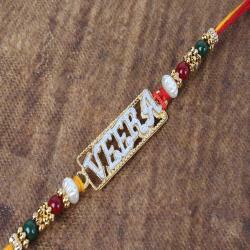 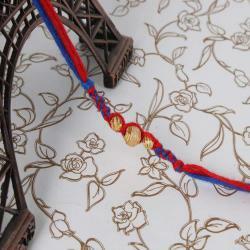 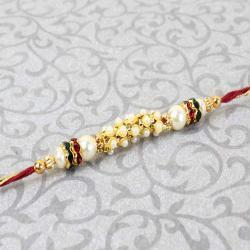 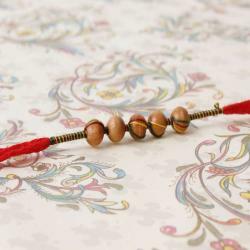 Celebrate this Raksha Bandhan with simple Mauli Rakhi for those who believe in simplicity. 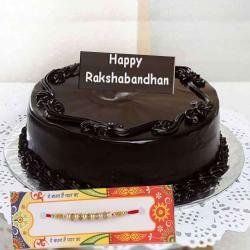 We make sure that the rakhis available in Giftacrossindia will touch your brother\'s heart and make him feel a special one. 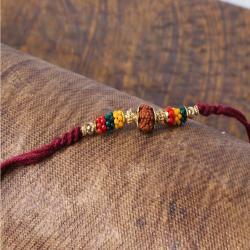 Mauli rakhis that we are having are affordable , highly trendy and colorful.